If you’re tired of spam phone calls, robocalls and telemarketers, there's bad news for 2019: experts expect even more robocalls in 2019. 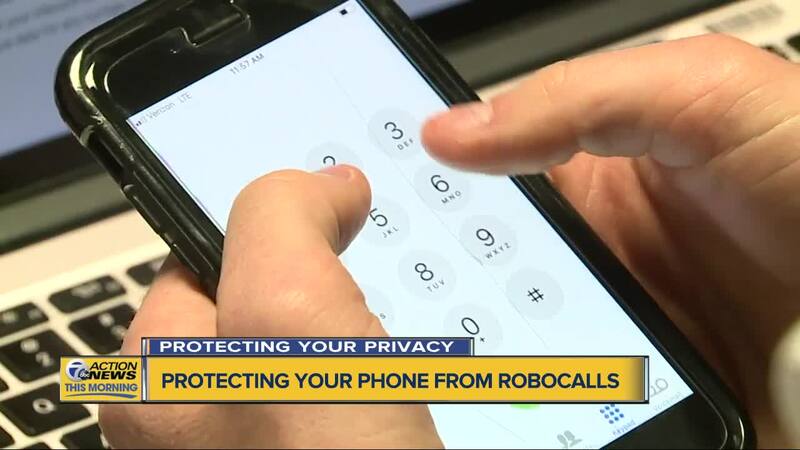 DETROIT (WXYZ) — If you’re tired of spam phone calls, robocalls and telemarketers, there's bad news for 2019: experts expect even more robocalls in 2019. First Orion, a call protection company, predicts half of all mobile phone calls will be spam robocalls in 2019. One website estimates that as many as 6 million robocalls are going out per hour — that’s a lot of junk phone calls. If you can’t avoid them the next best thing is to ignore them, and thanks to technology there are more and more options to do just that. A spin-off from the White Pages, HIYA is a free app that can be customized to your needs. You can set up HIYA, once you’ve downloaded it, to let you know if an incoming call is from a known scammer, telemarketer, etc. based on it’s list of numbers flagged by other HIYA members. You can even customize it to send specific calls straight to voicemail. In the old days if you didn’t know something you’d “ask Google,” but these days they’re doing more than providing search engines at Google. New Google phones are equipped with Google Assistant which has call blocking features that make life easier without the use of an app.